As an environmentally aware business, BAM were keen to develop a centralised, online tool to help monitor its environmental performance in the key areas of waste production, CO2 emissions, water use and timber sourcing. They also wished to record the increasing number of sustainability requirements included in their projects such as EPC ratings, BREEAM scores, and sustainable technologies. 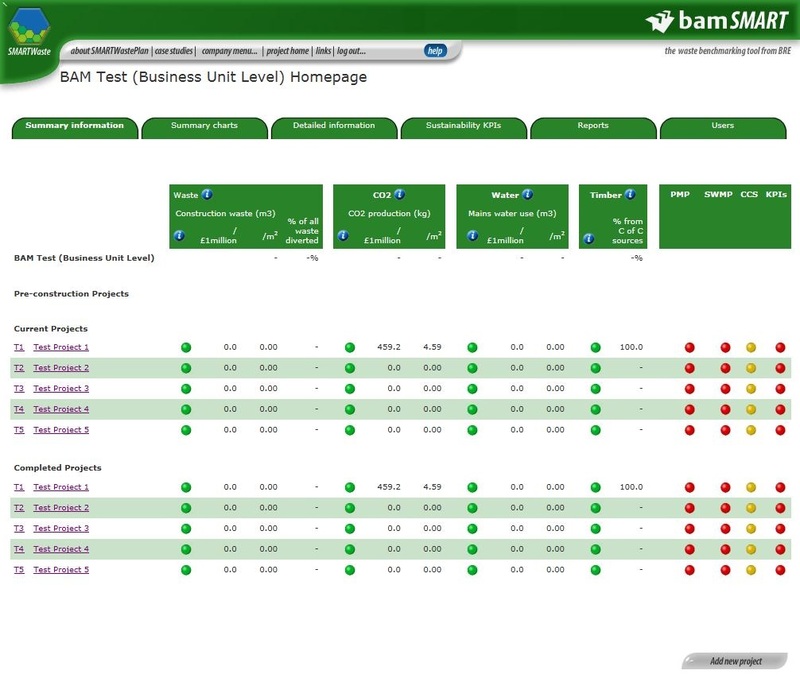 Along with the Building Research Establishment (BRE), and utilising their SMARTwaste tool as the base, Charlie developed the BAM Sustainability Measurement and Reporting Tool, or BAM SMaRT for short, which was launched in January 2010. The tool now forms the backbone of BAM’s sustainability data reporting, which has assisted BAM in reducing their waste production by 40%, and their CO2 emissions by 28%, helping them realise a saving of around £13million by the end of 2014. The data collected was also used to help set waste, CO2, and water benchmarks for the whole of the construction industry. The system has been developed further over the years, and is still the most advanced SMARTwaste based system in use today. The system has also been developed into the BRE SmartER system, which can be used by any construction organisation.